What are the health benefits of marijuana? A guide to the medicinal uses and positive effects of marijuana as a supplement. For years, no one considered the medical benefits of marijuana. 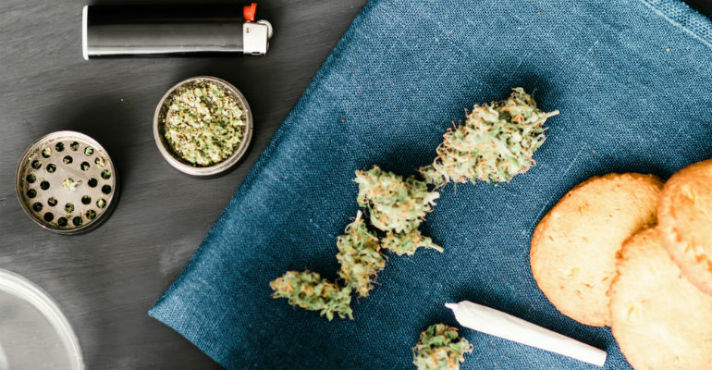 Although cannabis enthusiasts insisted that there were numerous marijuana health benefits, most people only thought of it as a recreational drug. This started to change in the late 70s when Robert Randall got approval to use medical marijuana for his glaucoma. With that approval (which helped kick off the Compassionate Investigational New Drug program in the U.S.), questions began to arise about the potential positives of marijuana. Could it be that a substance that had long been represented as a hard drug might be useful as a medical treatment? Research is beginning to reveal the health benefits of smoking marijuana. Researchers have spent decades looking into potential medical marijuana health benefits. During that time, the plant has taken on a nearly mythical status in the eyes of many: among the rumored benefits of cannabis are that in addition to effectively treating glaucoma, it can kill pain and cure cancer. All of those things are true – to a point. Here are just a few of the many conditions that can be improved through the positive effects of marijuana, with more topics being explored in the article list at the bottom of this page. Robert Randall was absolutely correct that marijuana offered relief for his glaucoma; it’s been proven effective at lowering intraocular pressure (IOP). However, doctors don’t typically suggest marijuana as a first-line treatment for glaucoma due to the risk of it lowering blood pressure within the eye – potentially damaging the optic nerve in the process. For glaucoma patients who haven’t responded well to other treatments, however, the benefits of cannabis can mean the difference between living in everyday discomfort and finally finding relief. Besides glaucoma, one of the most famous medical marijuana benefits is as a treatment for cancer patients. Researchers have found that marijuana is excellent at calming the nausea, vomiting, and loss of appetite that is common to chemotherapy patients. In fact, dronabinol (Marinol), a cannabis-derived drug, has been licensed for use in cancer and AIDS patients with severe nausea and vomiting. Confusion arises when it comes to the medical benefits of marijuana as a cancer cure. There is much anecdotal evidence of people smoking marijuana and using various cannabis oils and concentrates to cure different forms of cancer. While certain cannabinoids have shown anti-tumor effects in laboratory studies, marijuana and its active ingredients haven’t yet been proven to be an effective cancer cure outside of the lab. Its benefits for pain and chemotherapy side effects, however, have been proven repeatedly. Patients have long listed pain control among the health benefits of cannabis, leading to a public conception of people who went about their days perpetually stoned as a result of using marijuana to treat chronic conditions such as arthritis, fibromyalgia, multiple sclerosis, and more. Due to cannabinoids like THC and CBD, the reality is a bit more complex (and less intoxicating) than that. Both THC and CBD have been proven effective at controlling pain. It’s also been discovered that CBD (a non-psychoactive cannabinoid) is excellent at counteracting the high created by THC. This means that with the right marijuana strain (or combination of concentrates), people can experience the benefits of marijuana as a pain-reliever while still being able to function and go about their day. These conditions are just a few of the best-known ways patients harness the power of marijuana medicinal benefits. Studies have shown promise for marijuana to be used to help those who experience anxiety, people with depression and other mood disorders, PTSD, and many other disease and medical ailments. 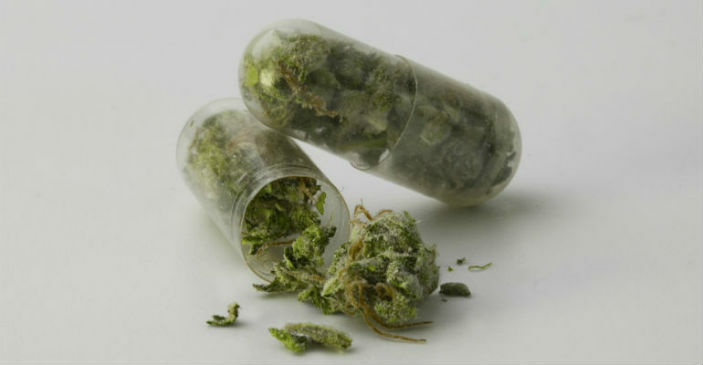 The benefits of medical marijuana include treating symptoms from conditions such as glaucoma and cancer. Many people know about the uses for medical marijuana, but can marijuana be beneficial as a supplement to maintain good health? 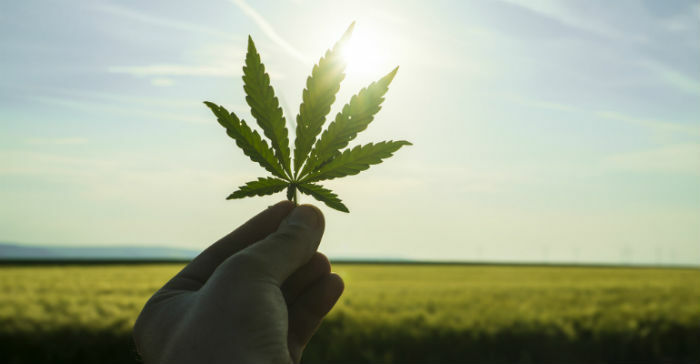 As recreational legalization has arrived in more places and the stigma surrounding cannabis has begun to shift, cannabis proponents have worked to educate the public about the overall health benefits of marijuana. These aren’t benefits that are limited to treating a specific symptom or disease; fans of cannabis insist that marijuana health benefits extend to everyday use of the whole plant as well as its individual cannabinoids as supplements. Most research has focused on the medicinal benefits of marijuana to treat medical conditions, and those studies have offered a useful look into how marijuana works inside the body. Evidence gathered in this research shows that whole-plant marijuana may have benefits when taken as a preventative or treatment for minor complaints and ailments such as low energy or post-workout soreness. While sativa-dominant marijuana strains act like a stimulant and calm the brains of those with ADHD, those same effects are helpful for everyday use in those who don’t have ADHD. The energizing effects of sativa-dominant strains can offer a natural pick-me-up and something to help people get through long daily to-do lists. Many fitness enthusiasts and cannabis connoisseurs insist that consuming marijuana before or during a workout helps them concentrate better and recover faster. Science backs up this theory, suggesting that marijuana’s anti-inflammatory effects may make it a protective substance for those who risk getting injured during a strenuous workout session. In addition to this, the herb provides an endorphin boost similar to a “runner’s high” that can make a hard workout more enjoyable. Although there’s not enough evidence to establish a hard link between cannabis use and a higher metabolism, the evidence that marijuana may make people skinnier is promising. A study published in the American Journal of Medicine found that marijuana consumers are thinner than most average people. This is despite the fact that the average marijuana smoker consumes more calories than other people. While this is only one study, for many people, it’s enough to encourage them to supplement with marijuana in support of a slimmer body. Marijuana benefits as an everyday supplement extend beyond smoking or eating the whole flower; individual cannabinoids that are responsible for the overall health benefits of cannabis can be taken by themselves to achieve various effects. While there is a wide range of cannabinoids present in cannabis, the current focus has been on concentrating two of the major ones: THC and CBD. Both of these cannabinoids have specific health benefits when taken in their isolated and concentrated form. Both THC and CBD are cannabinoids that have been studied for their antioxidant effects. Antioxidants help remove oxidizing agents such as free radicals from the body. Taking antioxidants can help prevent certain types of cell damage. This puts cannabinoids like CBD and THC in the same category as other well-known antioxidants such as Vitamin E, Vitamin C, beta-carotene, and lycopene. Even for people who don’t suffer from depression, boosting the level of endorphins and other natural feel-good chemicals helps relieve stress, promote good sleep, and increase focus and productivity. CBD helps increase levels of natural endocannabinoids such as anandamide – a chemical that’s also found in chocolate (and is one of the reasons people feel better after munching a bit of the sweet treat). This is why many find CBD to be an excellent daily supplement for a balanced mood and overall well-being. Cannabis health benefits may include use as an everyday supplement for overall health. What about the flip side of marijuana and health: is it possible that the herb can have negative impacts? For years, many individuals and government organizations have promoted the idea that cannabis is harmful and that there are no marijuana benefits powerful enough to justify its legalization. Here are a few of the most common concerns raised in terms cannabis and health. Ever since the push for marijuana prohibition in the early 1900s, marijuana has commonly been represented in the public eye as a dangerous and addictive substance. It’s also been labeled as a “gateway drug” by opponents of legalization who insist that using marijuana often leads to using harder, more dangerous drugs. While marijuana can be addictive if used heavily, its addiction rates are low when compared to other legal substances. Marijuana addiction statistics show that only 9% of cannabis consumers develop a problem with addiction. By comparison, 17% of alcohol users and 32% of tobacco users will become addicted to those substances. Meanwhile, studies into the “gateway drug” theory have failed to generate conclusive results to prove or disprove it. Another concern about the potential ill impact of marijuana on health is lung cancer. Studies have been mixed, with some suggesting that marijuana causes lung cancer and others demonstrating no link between cannabis and lung cancer. While anything that’s smoked will justifiably raise concerns over lung damage, people who smoke marijuana generally smoke it fewer times a day than the average tobacco consumer smokes cigarettes. In addition to this, an array of consumption methods (including edible oils, sprays, and vaporizing) means that marijuana consumers need not worry about jeopardizing their lung health. Marijuana currently being sold on the market today is many times more potent than in previous generations. (Marijuana in the 70s ranged somewhere between 1 and 4% THC, while cannabis found at an average dispensary today can run from 13 to as high as 30%.) This is only looking at flower; products such as marijuana edibles, kief, hash, and BHO can send THC levels skyrocketing even higher. This has raised alarms about deaths due to overdoses. Such fears are unfounded, as there has never been a reported death directly attributed to overconsumption of marijuana. “Overdoing it” and “overdosing” are two different things. While consuming an excessive amount of THC may not kill someone, it can send them to the emergency room with extreme paranoia, a racing heart, and even hallucinations. It can also impact someone’s ability to think rationally. In 2014, a man died from injuries sustained when he leapt from a balcony after consuming six times the recommended dosage of a THC-infused cookie. So while fears of death from overconsumption are unfounded, it’s still important for consumers to get educated, be responsible, and go slow. Opponents of cannabis insist that there are no marijuana health benefits, instead raising concerns about addiction, lung cancer, and overdoses. There is no one-size-fits-all answer for whether everyone will experience the same health benefits of marijuana. Many people notice great relief when using cannabis to treat their medical conditions – and there are numerous research studies to back up their experiences. For some, substances such as THC may exacerbate anxiety or ongoing mental health conditions. Lung damage from heavy smoking or negative experiences due to cannabis overconsumption are always a concern. Generally speaking, the best wisdom in terms of the medical benefits of marijuana is for people to ask questions, read up, and consume conservatively until they know how their body will react to a particular strain, dosage, or ingestion method. The research on the health benefits of marijuana are promising. With legalization sweeping the globe, more evidence will provide answers about the positive effects of marijuana – whether it’s used for a specific condition or consumed as a daily supplement for overall good health.